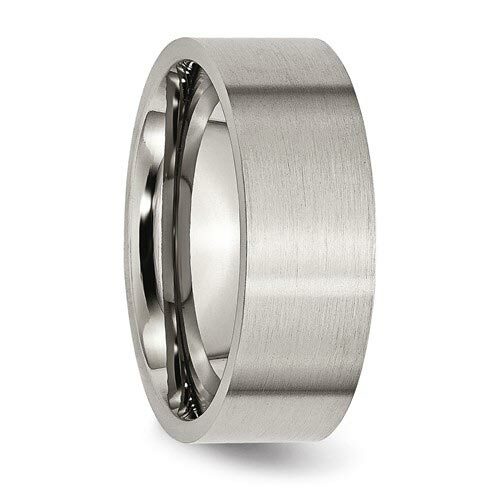 Flat titanium wedding band has a brushed finish. Width: 8mm. Made of aircraft grade titanium in China. Comfort fit. Aircraft grade titanium [Ti 6Al-4V] is comprised of 90% titanium, 6% aluminum, 4% vanadium. It is hypoallergenic and guaranteed not to cause allergic reactions, skin irritations or discoloration of any sort. 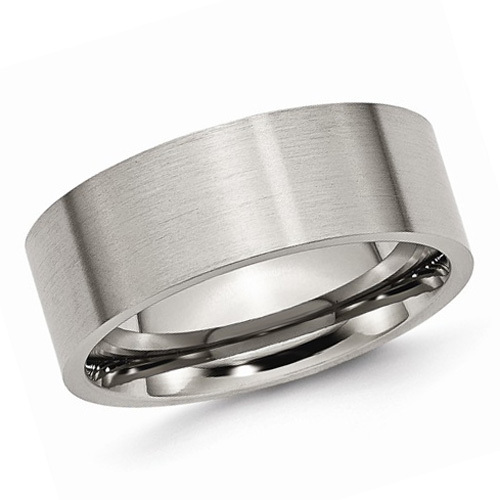 While pure grades of titanium [99.9%] used in most other titanium jewelry is very durable, Ti 6Al-4V is 2x stronger and 2.5x to 5x harder. This alloy has a tensile strength of up to 150,000 psi and a Brinell hardness value of 330.